Apple has reportedly hired a team of biomedical engineers to develop noninvasive glucose sensors for integration in Apple Watch, a solution that could lead to continuous monitoring of blood sugar levels for users with diabetes. Citing sources familiar with the matter, CNBC on Wednesday reported Apple's small biomedical engineering group is part of a "super secret" initiative, first imagined by late cofounder Steve Jobs, to create a noninvasive glucose monitoring solution. The company has been working on the project for at least five years, the report said. Tracking blood sugar levels without drawing blood is a difficult feat, and many large corporations have attempted to create similar systems without success. 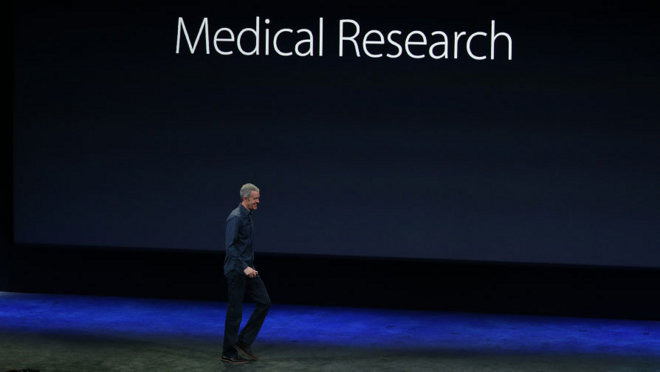 If Apple is able to succeed where others have failed, it would not only be a boon for Apple Watch, but validate the company's recent interest in medical research. The diabetes research team, stationed in an office building somewhere in Palo Alto, is said to be ready to conduct feasibility trials, a major step toward gaining necessary federal regulatory approvals. Apple could begin testing the process at clinical sites in and around the San Francisco Bay Area, according to the report. While details are sparse, sources claim Apple's technology involves optical sensors capable of measuring indications of glucose in the blood stream through a user's skin. About 30 people were said to be part of the engineering team a year ago, though that number could have increased following acquisitions and recent hires from the biomedical field. For example, Apple last June hired Dr. Rajiv Kumar, a pediatric specialist who formerly worked for Stanford Children's Health. Kumar was one of the first medical professionals to take advantage of Apple's HealthKit platform, facilitating a ResearchKit study on Type 1 diabetes monitoring. Though his previous work focused on diabetes, it is unclear if Kumar is part of Apple's glucose monitoring technology team. Perhaps most closely aligned with today's report is a 2013 hiring spree that picked up former employees of defunct biotech company C8 MediSensors. Before going out of business, C8 specialized in non-invasive sensors capable of tracking substances in the body, including glucose. Since the debut of HealthKit in 2014, Apple has increasingly focused on health and fitness products. A report last year suggests the company's interest in health sciences was sparked by a challenge from Jobs, who wanted to fix what he viewed as a disjointed healthcare system. Jobs believed technology could solve a data gap between patients and healthcare professionals, an idea that gave rise to HealthKit, ResearchKit and ultimately Apple Watch.